Maryland hard rockers CLUTCH have just confirmed the final track listing and release date for the ten song "Basket of Eggs" bonus CD that will be included as part of the reissue of the classic CLUTCH album "Blast Tyrant". The CD will be released on April 26th on CLUTCH's label Weathermaker Music. The confirmed track listing is below. CLUTCH is currently tearing across the country with Motorhead and Valient Thorr. 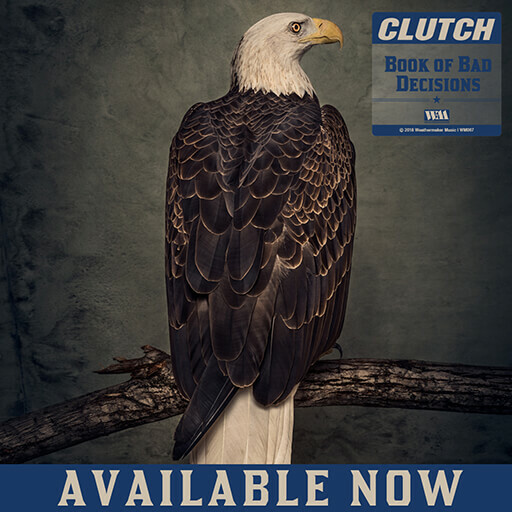 This is one of the most talked about tours of the year, so make sure to check out CLUTCH live when they hit your town.